This past week was Teacher Appreciation Week, so we of course spoiled our teachers! I try to give Addison’s teachers small gifts through out the year to show them how much we appreciate them, but here is what we did this past week! We got Calvin involved with the fun this year! 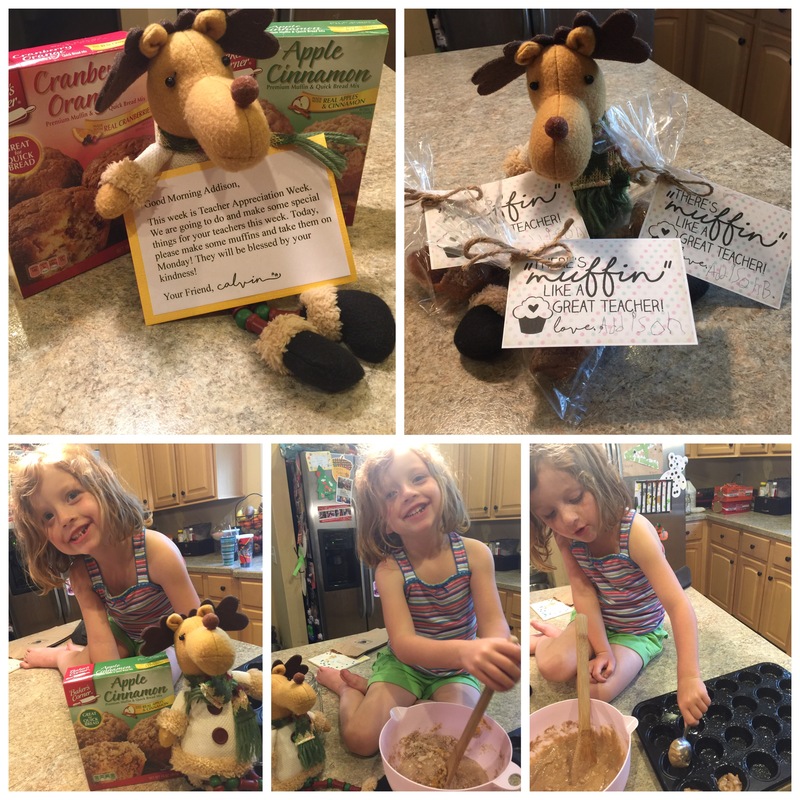 Take a look at the fun things we did! 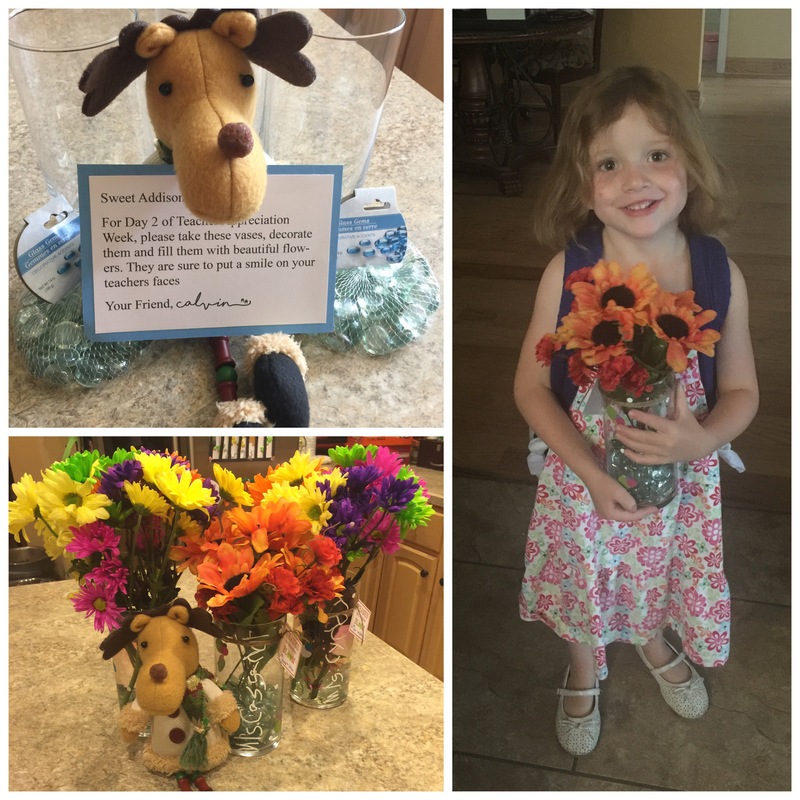 Day 2 of Teacher Appreciation Week: Calvin brought us supplies to make vases for the teachers…we went and bought pretty fresh flowers for two of the her teachers. Her third teacher is out this week, so we put fake flowers in hers so they will still be pretty next week! We made the vases extra special by putting Addison’s handwriting in vinyl on them!! 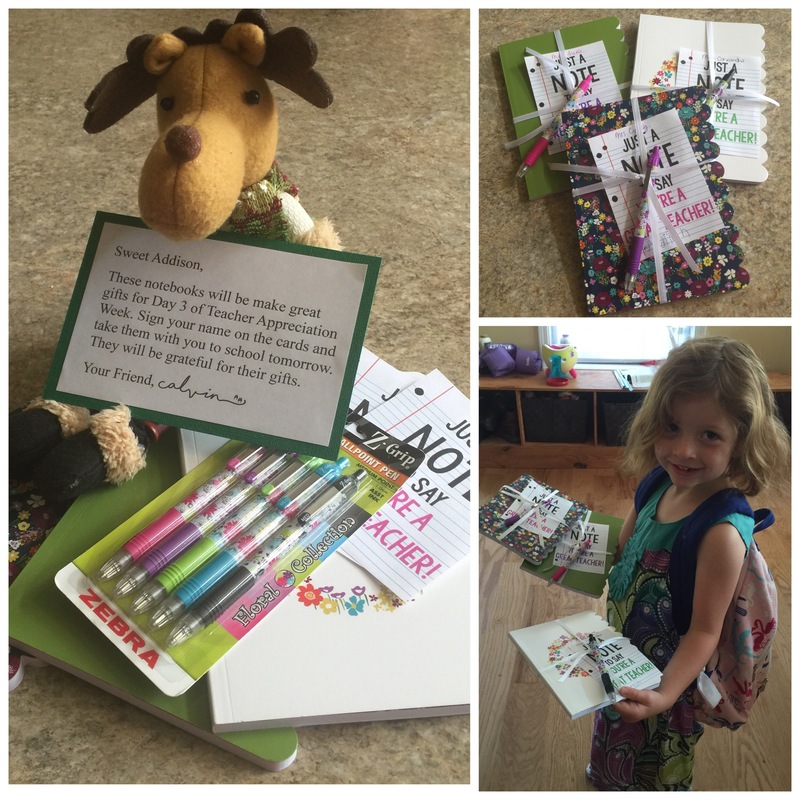 Day 3 of Teacher Appreciation Week: Calvin picked out some super cute notebooks and pens for the teachers! We wrapped them up pretty with a note and delivered them this morning. 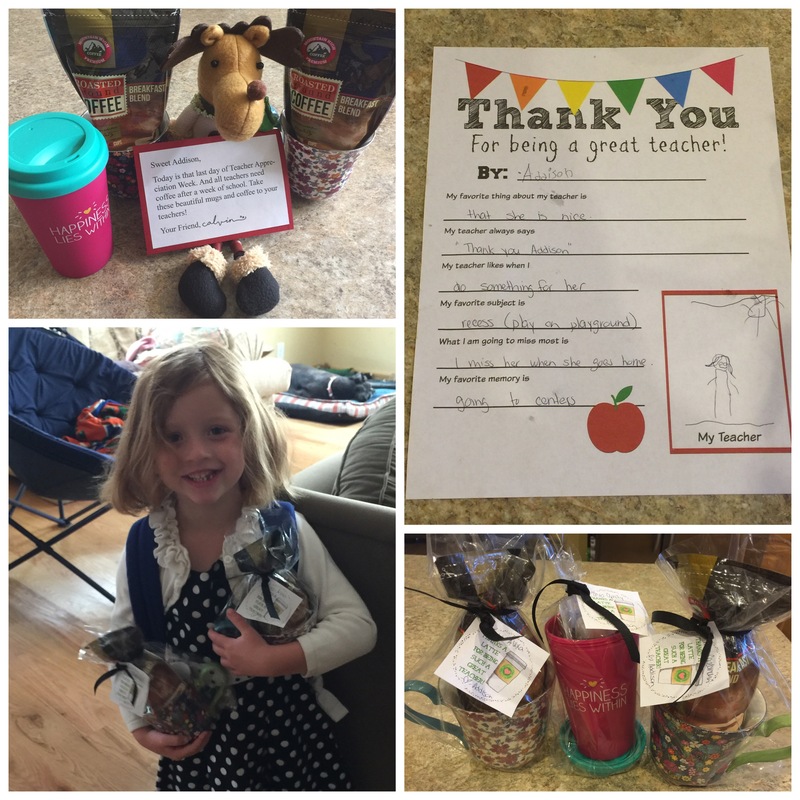 Day 4 of Teacher Appreciation Week: “Thanks a latte” theme with coffee mugs and some coffee. Calvin is so kind in his gift ideas 😉 And Addison is showing kindness by giving all of these wonderful gifts to her teachers this week.